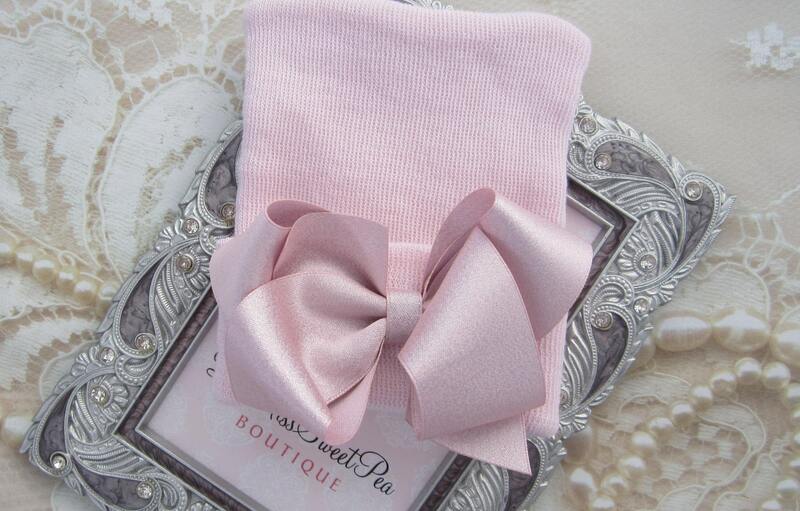 NEW STYLE - Baby Pink Newborn Hospital Hat with pink satin bow, double ply, hospital hat, newborn baby hat, Lil Miss Sweet Pea Boutique. Our hat base is hospital grade, from a hospital supplier, no need to prewash. **** Other styles of hats with rhinestones and bows can be found in other listings in our store under the HOSPITAL HATS TAB. 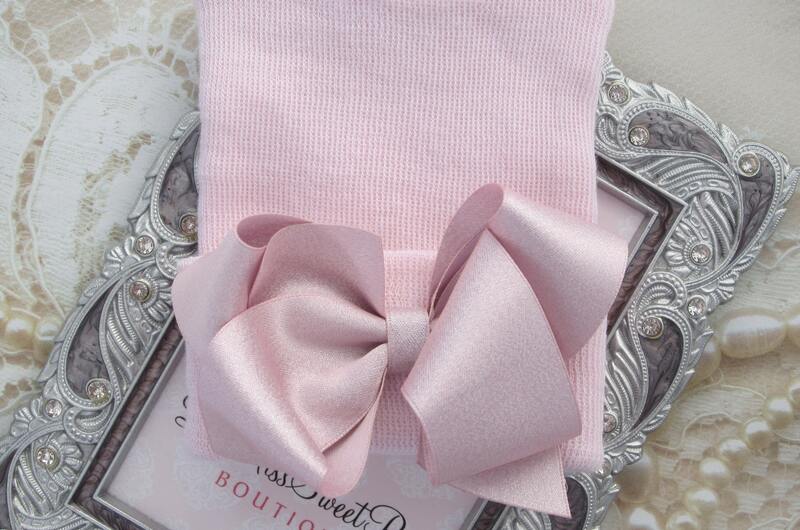 Satin bow is beautiful on this hat! Can’t wait for her to wear it! We got so many compliments on this hat. It's so cute!